Dubai is the world's fastest growing city and has the only 7-Star Hotel, soon to be completed tallest building, and has plans for the world's largest airport. 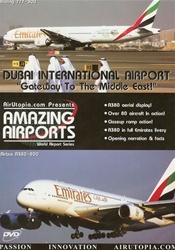 Dubai currently boasts an airport unmatched in the aviation world for diversity and variety. With a free 'Open Skies' policy many airlines from Africa, the Middle East, Asia, Europe, and many former Russian States grace the skies of the United Arab Emirates! You'll see everything from the fastest growing fleet in the world, EMIRATES, to the rarer Eritrean and Yemenia and others from around the world! An aviation enthusiast's dream airport! 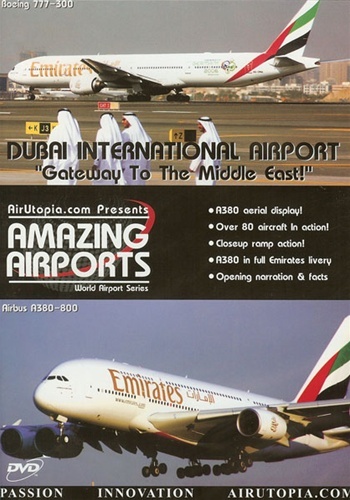 Follow the history rising in the United Arab Emirates - Follow Aviation History - Follow AirUtopia! First A380 in Emirates colours! Rare Airliners of Africa, Middle East, and the world!